The Persian Gulf state of Qatar has fewer than 2 million inhabitants, virtually no potable water, and has been an independent nation only since 1971. Yet its enormous oil and gas wealth has permitted the ruling al Thani family to exert a disproportionately large influence on regional and even international politics. Qatar is, as Mehran Kamrava explains in this knowledgeable and incisive account of… the emirate, a "e;tiny giant"e;: although severely lacking in most measures of state power, it is highly influential in diplomatic, cultural, and economic spheres.Kamrava presents Qatar as an experimental country, building a new society while exerting what he calls "e;subtle power. "e; It is both the headquarters of the global media network Al Jazeera and the site of the U.S. Central Command's Forward Headquarters and the Combined Air Operations Center. Qatar has been a major player during the European financial crisis, it has become a showplace for renowned architects, several U.S. universities have established campuses there, and it will host the FIFA World Cup in 2022. Qatar's effective use of its subtle power, Kamrava argues, challenges how we understand the role of small states in the global system. 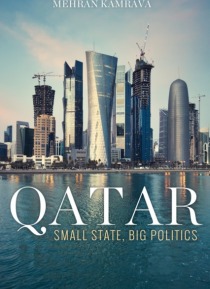 Given the Gulf state's outsized influence on regional and international affairs, this book is a critical and timely account of contemporary Qatari politics and society.